Within this episode, we’re going to be seeing Codi doing what he can in order to get closer to Candace, mostly due to some encouragement from his father. This is a storyline that has been encouraged with this show for a little while now, so maybe the thinking here for Codi is that there’s no better time than the present. You do have to live in the moment to a certain degree here, given that you don’t quite know for sure when you are going to be around some of these people again. Also (and we’ve said this before), there is some interesting romantic potential that comes with being a part of the Floribama Shore house just because it’s such a tight-knit group of people. Also, they have a collective, shared experience with you that you’re probably not going to find almost anywhere else. With encouragement from his dad, Codi gets up the nerve to try and push things forward with Candace. Gus struggles with the feelings stirred up by the Butts’ arrival. On a wild night at Ms. Newby’s, Kortni finds a new make-out buddy. Based on the promo that aired following tonight’s new episode, the new “make-up buddy” for Kortni looks as though it’s going to be somewhat you would not exactly expect! There are probably going to need to be some questions that she has to answer regarding this! Then, there is also a situation when it comes to the police that is going to lead to a number of different cast members scrambling. 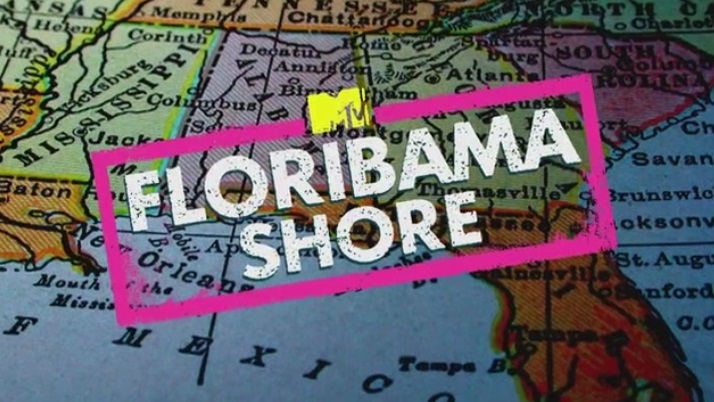 This is a pretty challenging spot for the MTV show and the city — we do think that there are financial benefits to Floribama Shore being in the area, but the dust-ups with the law do drain police resources and also may frustrate locals who don’t want their town to be associated directly with that. Yet, we do think that it’s going to continue to be a part of any show that features this extent of people partying and doing some of the crazy things that happen here. By the time Thursday’s episode rolls around, we imagine that we’re going to get at least a few more answers on what happens to some of the group with the cops.